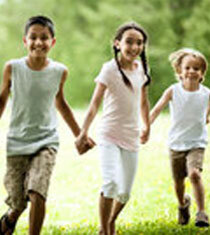 The Child Welfare Subsystem (CWS) is a specialized program of the Behavioral Health Department. This program provides behavioral health services to children/youth entering the dependency system in Ventura County through collaboration with the Human Services Agency/Children and Family Services. Referrals come from the Children and Family Services (CFS) Social Worker and all children receive a Mental Health Screening and assessment for mental health service as needed. As a part of the State Wide Pathways to Wellbeing initiative, Ventura County developed a joint management structure to guide and enhance services for dependency children, families and caregivers. The increase coordination of service, collaboration, and decision making across agencies brings clinicians, social workers, public health nurses, community based organizations and families together as a team working toward the best interest of the child. These Family Team Meetings are the mechanism for joint decision and to ensure much need trauma informed mental health services are providing in a family setting. The CWS Assessment Team screens and triages all dependency children 0-21 years of age and the appropriate mental health services are assigned to meet the clinical, cultural and developmental, need of the child and caregivers. A complete bio-psycho-social assessment is completed by a Ventura County provider with the CWS team or Community Based Organization. Clinicians provide in-home, community based and individualized mental health services to children/youth in their own home, family setting or the most setting appropriate to their needs. If appropriate, Intensive Care Coordination, Therapeutic Behavioral Services (TBS) or Intensive Home Based Services (IHBS) are also made available based on clinical need to augment existing specialty mental health services.